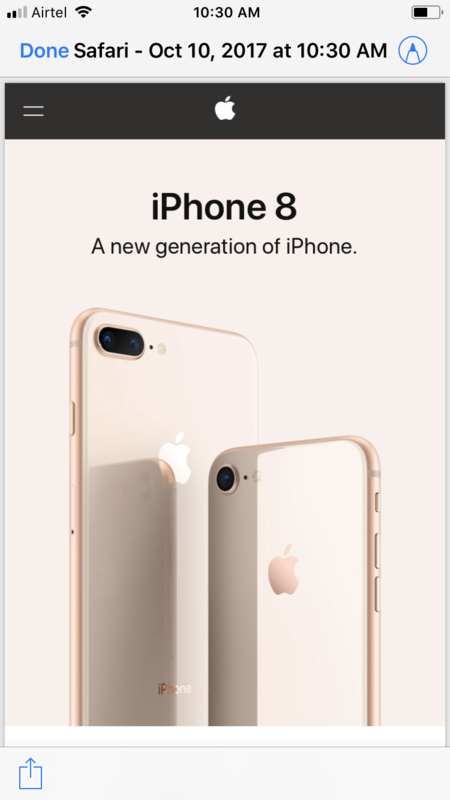 While surfing through the web on your iPhone, you may find an informative website that you think should be saved as a file to be read offline. 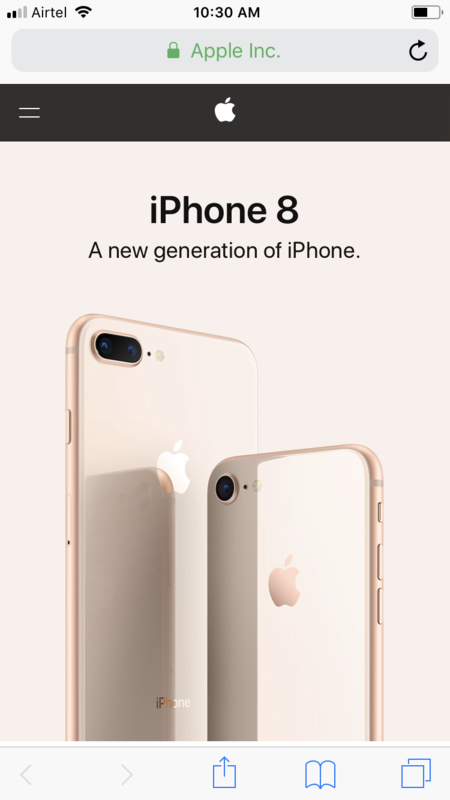 The best way to get this done is by saving the webpage as a PDF document which is an easy task while using Safari, the built-in web browser in your iPhone. 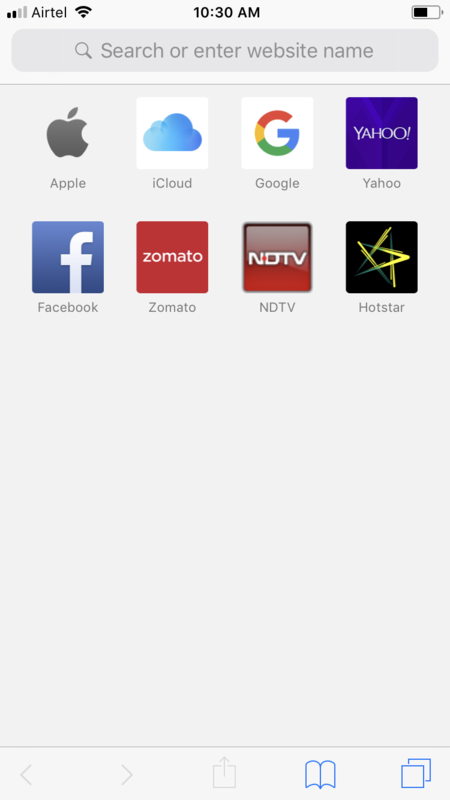 Tap the Safari icon from the Home screen of your iDevice. 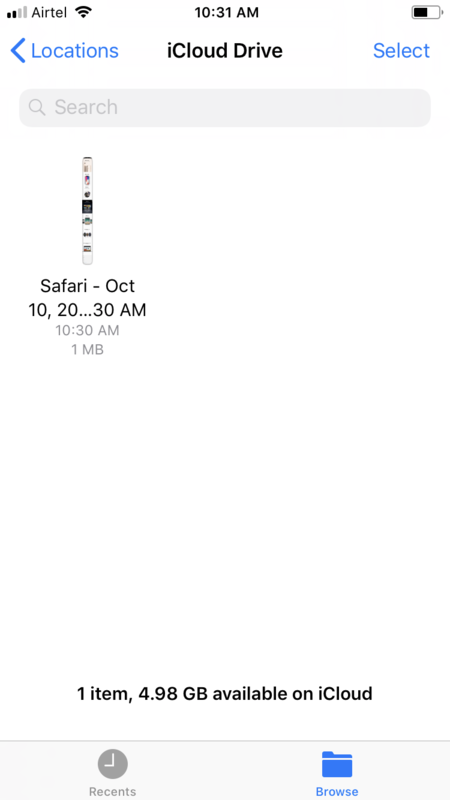 This will launch the Safari app that will allow you to surf the Internet. Note: Ensure that your phone is connected to the Internet. In the address bar of the browser, type the URL of your preferred website and tap Go. Alternatively you can tap your preferred website’s icon on the default page that opens up upon launching Safari. Make sure to give the browser sufficient time to fully load the web page. 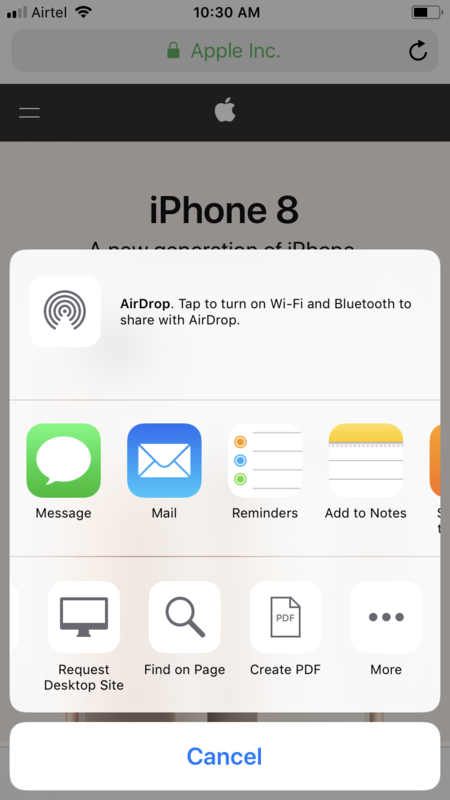 Tap the Share button from the bottom of the opened page, and tap Create PDF. This converts the web page to the PDF format. Tap Done from the top-left corner. 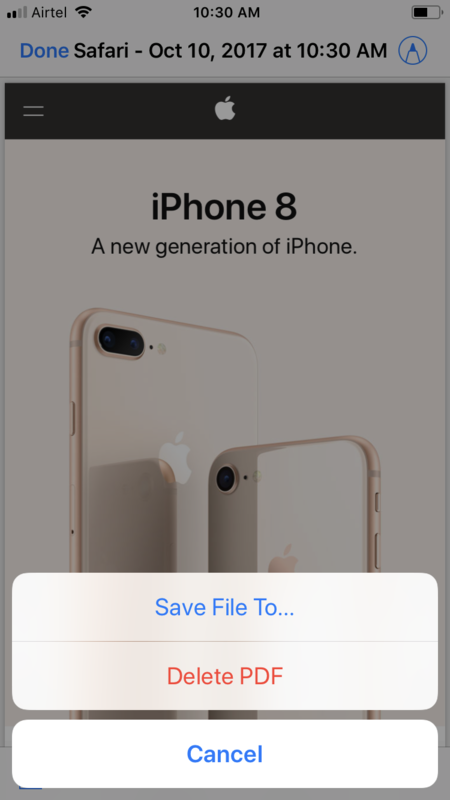 By doing so you tell your iPhone to save the PDF file at the destination of your choice. Tap the Save File To option from the pop-up that appears from the bottom. This allows you to pick your preferred location where you want to save the PDF file. Make sure to save the file where you can find and open it easily. 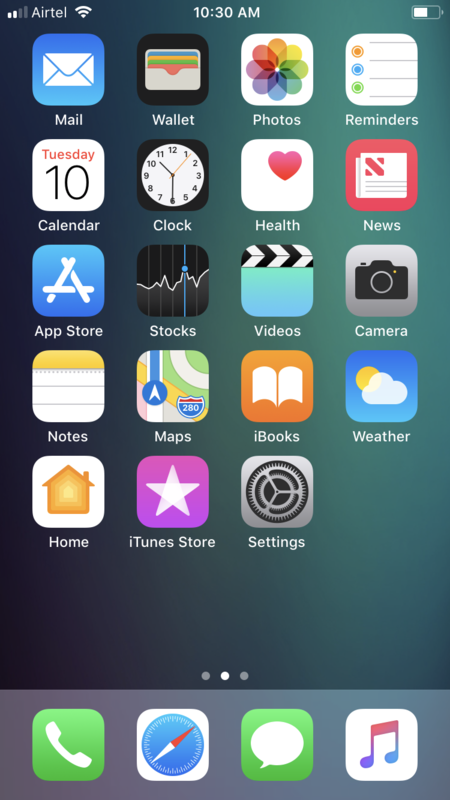 Tap iCloud Drive from the window that opens next and then tap Add from the top-right corner. This will save the PDF file to the iCloud Drive with an automatically generated file name. 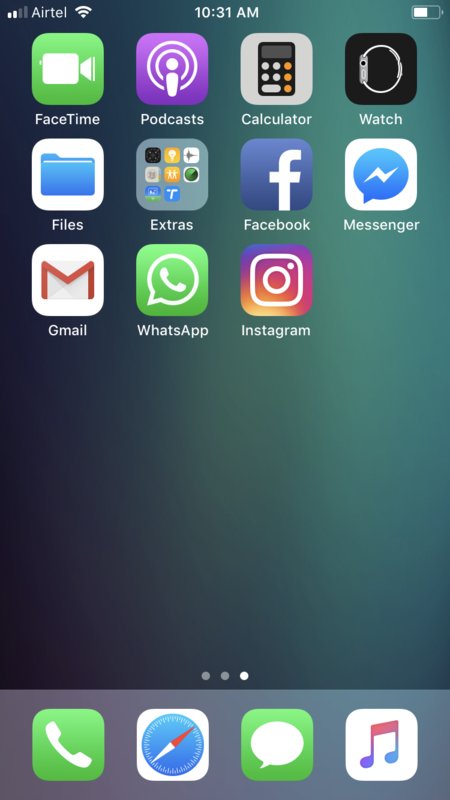 Go to the second page of the Home screen and tap Files. 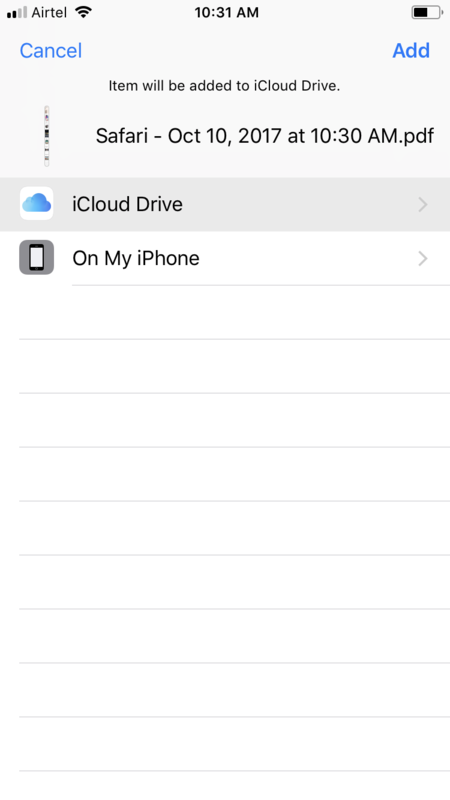 Here you can find the PDF file in the iCloud Drive window. The automatically generated name will contain the date and time of the creation of the file.